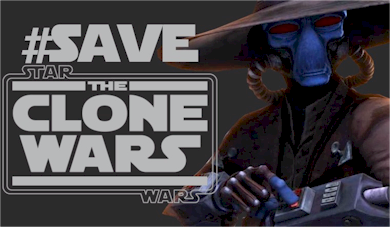 Approximately five and half years ago Star Wars: The Clone Wars was cancelled. Today, at San Diego Comic Con at the Clone Wars 10th Anniversary Panel, the announcement was made that the war remained unfinished until now. Star Wars: The Clone Wars is returning. The Star Wars twitter account updated it's header to the image depicted below. Dave Filoni tweeted the following message. According to EW, the series will return for 12 new episode on the upcoming Disney streaming service. The official trailer is embedded below. There have been a lot of headlines about toxicity in Star Wars fandom, as of late. It is so good to have good news to report. The Clone Wars is what peaked my interest in Star Wars, and it was a true shame when it left all too soon. Now, years later, it is finally coming back. Thank you so much for believing in this series and the fandom. You and the fans never gave up. Filoni is a storyteller cut from the same cloth as Lucas. That is why his series that he was involved with from day to day are so good and have the fan base that they do. He also respected George Lucas' vision and the fan base from the first six movies. I would rather attend a Filoni movie about the Clone Wars than any of the terrible garbage coming out of Abrahams/Kennedy/Johnson. How about a reboot of the events after Return of the Jedi that Filoni and Lucas collaborate on? I have tried to watch the two Abrahams/Johnson/Kennedy productions again recently to see if I was too harsh when I saw them initially and was even more upset with the lack of story and utter contempt they have shown for George Lucas' storyline and his fans. Give Filoni the reigns for a reboot- animated or not- with a storyline that he and George come up with and you will get me to go back to the cinema for another Star Wars. Otherwise, as my wife put it when she walked out of The Last Jedi, "I'm done with Star Wars"